In any divorce case, there are a number of methods and resources you can employ to gather evidence showing that you possess good character. For a parent, using a character witness is especially beneficial when it comes to proving their ability to care for a child. Having a witness who speaks on your behalf can provide additional support for your case. Choosing reliable character witnesses is a challenging task especially if you are not sure what role a witness plays in a divorce case. Therefore, in order to improve the outcome of your family law trial, you need to know what a character witness does and whether or not there is a requirement for one in your particular case and who you will ultimately choose for that role. When going through a divorce, a character witness testifies about your moral character, responsibility, and other personal qualities. The court relies on this person’s word, so the witness must be very familiar with the person that they are testifying about. If you have to use a witness or witnesses, your attorney should ask the witness questions before court. After your attorney has reviewed the questions with the witness, it will be your spouse’s attorney’s opportunity to ask their questions. But before the witness leaves, your attorney will have a final opportunity to ask any remaining questions. For people going through a divorce or a child custody issue or any family law related matter, it is beneficial to have a strong witness or witnesses. A witness is absolutely necessary in cases where your some allegations have been made about your character. If your divorce case involves children, or if you are dealing with a child custody issue, a good character witness can point out your good qualities as a parent in front of the court. However, not every divorce case requires character witnesses, especially if the divorce process is amicable or if both spouses are working towards a mutually agreed upon settlement. Courts may not allow family members to act as character witnesses, due to certain perceived biases. So it’s advisable to have a friend, a colleague, or someone else who knows you very well to act as a character witness. It’s always best to choose someone close to you because they have first-hand accounts of both your behavior and your spouse’s. For example, in a case where abuse has been alleged, your best friend may have seen your spouse hit you, whereas your colleagues might have only seen the bruises and other evidence of abuse. In certain divorce cases, a witness may be used who can testify regarding both sides. For example, a nanny or housekeeper generally has firsthand experience watching the family and how each spouse behaves with their children. Such a witness can be instrumental in testifying about the qualities of both parents. If the couple shares a business, a colleague or business partner can attest to how each person contributed to the growth of the business. 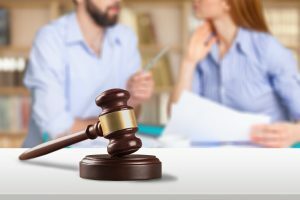 Every divorce case is unique and has its own specific set of challenges. When it comes to deciding whether you need a character witness or not, it is best to consult with your attorney. A competent and experienced family law attorney can evaluate your situation and determine the best legal methods to employ to protect your interests.